Note from PC Pitstop: We recently asked our TechTalk contributors to recommend a favorite FREE application or tool that they currently use. This post is Bob Rankin’s response to our request. Can you believe that photo fuse with Windows Live Photo Gallery is available for free for the mere home user. Now you can really create a great photo without having to employ the services of a professional. I am absolutely stunned at what Windows live photo Gallery can do, especially when it comes to photos fuse. I really never thought that blending two photos together with Windows live photo fuse would be so incredibly easy! My 10 year old daughter could easily edit a photo like a professional using this fantastic free software. Of course there is Google’s Picasa which is also free picture editing software but it sadly does not include this feature. I often use Picasa to batch resize photos but for this tutorial we are using Windows Live Photo Gallery. In this tutorial I am going to show you how to use Windows live photo fuse to blend to pictures together. I am going to use a family photos as an example. We all know how hard it is to get people to look the same way at the same time. All I have to do now is take a few quick photos and simply swap and change the best looking bits of the picture to form a great photo. Firstly you will need to download and install the free Windows live photo Gallery software. You can do this here, or you can search for “Windows live photo Gallery download” in Google. You will need at least two similar photos so you can blend them together using photo fuse. These photos need to be saved onto your computer. 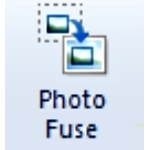 How to Use Photo Fuse in Windows Live Photo Gallery? This excerpt is shared with permission from tips4pc.com. free software, Tips4PC freeware, photo editing, photo fuse. permalink.